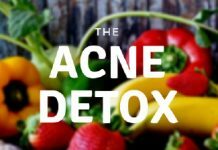 Even with a very careful cleansing routine on a daily basis, there are many environmental factors that can cause an acne flare up. Along with sunscreen, cosmetics are one of the most common reasons that you can encounter a sudden outbreak. Even when you have carefully chosen very mild and oil free products, you can easily aggravate the skin and cause pores to become blocked. It is that dreaded blocking up of skin pores that causes the heavy reactions to a buildup of bacteria and sebum. The most obvious solution would be to not use any facial makeup at all, but that’s not going to be a viable option at all. Whether the scarring after an outbreak or the blackheads and pimples themselves, when you head out in public you will want to cover them up. 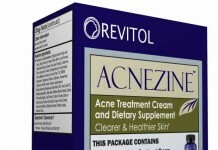 The good news is that there are many cosmetic products available that were specifically designed for people with acne. 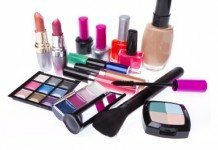 But even with those in your makeup kit, there are a few tips that you need to be aware of to make sure you reduce the risk of outbreaks to a minimum. And if you follow the below tips you can achieve just that. 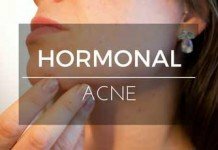 Unlike other types of acne, which are caused by different complex factors in your body, acne cosmetica is triggered or caused by topical cosmetic products. Having said that, it is most prevalent among adults who are addicted (kind of) to cosmetics. 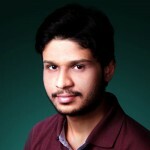 It is characterized by small, rashy, pink bumps on the forehead, chin or cheeks. Although your makeup has the ability to exacerbate the condition, studies have shown that cosmetics do not cause true acne alone. Or in other words, it’s not fair to blame cosmetics for each and every acne lesion on your skin. 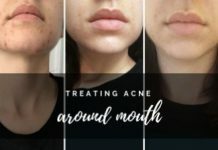 Cosmetics should only be blamed for what they deserve, the following paragraph will help you to actually understand how acne is caused by cosmetics. Have you ever wondered that where the make-up you applied on your skin disappears to over the course of the day? Now, you might think that it has rubbed off by the contact with your clothing or hands, or it might just have blown away by the wind. Well… each of these arguments might be correct. But the fact is that most of your makeup migrates across your skin into the pores of your skin. 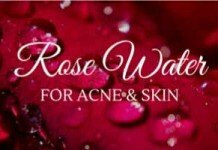 This ends up clogging your skin pores, just like the rainwater that is collected where ever there are holes in the ground. 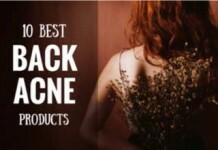 There are hundreds of attractive cosmetic products that promise to enhance your beauty and damage your skin in return. However, not all of them are the same. And I’m don’t entice you to stop buying them either. Instead, I want you to to keep the following tips in mind when buying your cosmetics. By bearing all these things in mind, you’ll be able to efficiently deal with this condition. 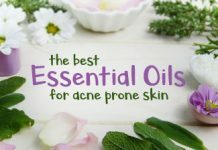 Contrary to the mythical belief, not all oils are comedogenic, but some are. Mineral and sunflower oil and petroleum products do NOT penetrate into the pores. 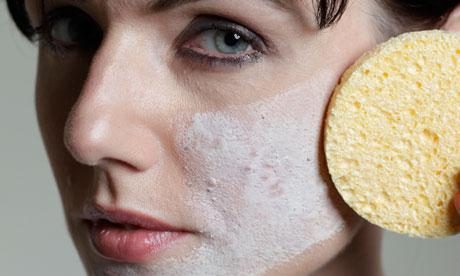 Beware of the products containing lanolin and isopropyl myristate as they aren’t good at all for an acne prone skin. Or simply, make a habit of checking the “non-comedogenic” or “oil free” label on each of the products you buy. Fragrances can cause irritation and allergic reactions to your skin. 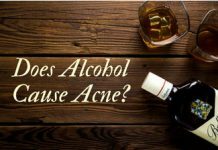 However, reactions of fragrances on the skin differ from person to person, but it’s good to avoid them if you’re prone to acne. The most common culprits are the fragrances in the musk, bergamot, ambrette, and cinnamate families. It’s best to look for the products labeled as hypo-allergenic or fragrance-free. You can also test any new product by applying it to the back of your ears for 2 to 3 days. 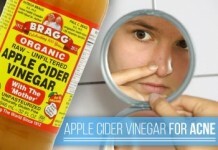 If you don’t feel any irritation, you can then apply it to the larger areas without hesitation. Mica is a common mineral used to put a sparkle in your eye shadow, blush, or face powder. Because of its flaky shape, the particles of mica can cause irritation and even pore clogging. So, a good approach is to stick with products without containing much shimmer. Coal tar derivatives are also used in the form of red dyes to put a bloom on your cheeks. 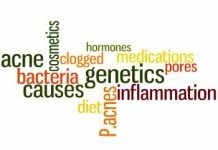 These substances are also comedogenic and can potentially lead to the clogging of skin pores. Try to stick with gel or powder blushes. On the other end, avoid cream blushes as they’re likely to be comedogenic. Oily eye make-up removers or heavy eye creams can aggravate milia – these are the tiny white bumps usually formed as a result of cosmetic annoyance. The creams created for this particular area are much greasier and thicker than the typical facial moisturizers. 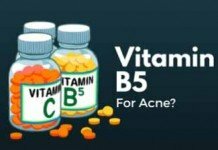 It can also migrate to the neighboring areas such as the forehead, your cheeks, and temples – eventually causing acne. Most of the products we use to style our hair usually contain adhesives, alcohol, or oils that we must keep away from our skin for its health. Therefore, consider covering your skin when using any of your hair styling products, a gel, spray or anything else. Avoid these products when you exercise because perspiration from your scalp easily carries particles of these styling products onto your skin, eventually opening the door for further acne breakouts on your scalp. It’s good to make a habit of washing your face or taking a full bath after you’ve exercised. Although sweating alone cannot cause acne, but when you perspire heavily, or even worse – you sweat when wearing makeup, this can definitely worsen your acne condition. You should know that even non-comedogenics can cause irritation and pore clogging in the presence of intense perspiration. Therefore, taking a bath with a mild exfoliating cleanser after having exercise or any other activity that promotes perspiration is indeed a good approach. If you’re experiencing pimples around your mouth area, then the products you use on your lips should be taken under consideration. Lipsticks and lip glosses are greasy by nature – the greater their shine, the greater they’ll have the potential for clogging your skin pores. So when it comes to choosing the right lip products, stick with matte finished instead of glossy items. And at last, the same rule goes here, make sure that all of your lip products are non-comedogenic. 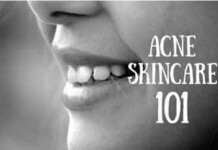 So that ends our comprehensive discussion on acne cosmetica. We looked at what it actually is, how it is caused, and the main culprits behind its outbreak. 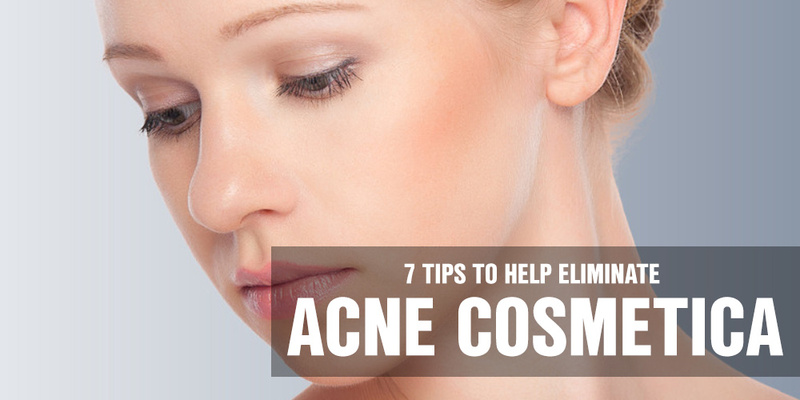 We also discussed 7 essential tips for eliminating it. Taking all these things into consideration when using cosmetics will efficiently aid you in fighting against acne cosmetica. 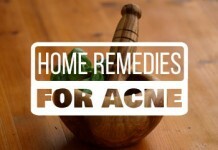 It will also help you in preventing future acne breakouts. 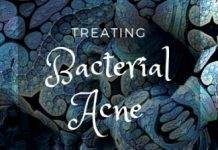 Recommended Reading: In addition to all these tips that I’ve shared, I’d recommend you to go through this post on acne.org to get even more handy insights on this subject. 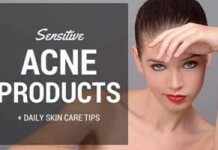 Do you suspect any of your cosmetics could be causing your acne? Which of them do you think has done that in particular? 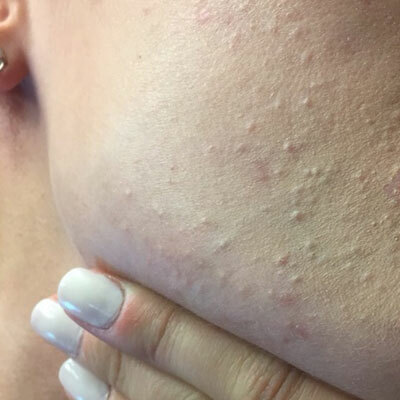 Any good cosmetic products you want to share with your fellows that doesn’t aggravate acne? You have to avoid sweating under makeup at all costs. First, if you can avoid wearing makeup when going outdoors during the day, do it. If not, wear a sunscreen. 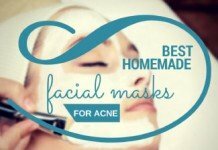 I’d recommend picking any one of these acne fighting sunscreens that I’ve hand picked for best results. Choose one that is lighter and soaks into the skin nicely. Wear makeup over it, and I’m sure results will be a lot better.